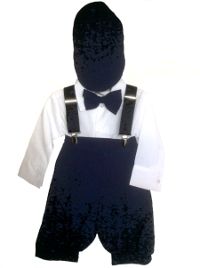 Baby or toddler's first suspenders. 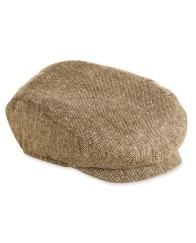 The perfect dapper accessory for the wee laddie's wardrobe. 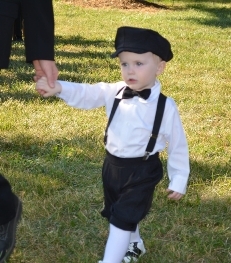 These elastic suspenders are a perfect size for your little guys, 6 mo - 24 mo. Quality made and durable 1 inch wide elastic with sturdy metal silver clasp. 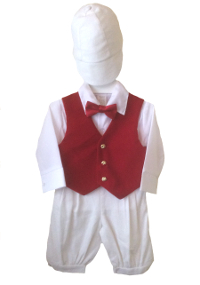 Leather triangle tab in back on infant size only. They come boxed. The elastic length is 19 inches. 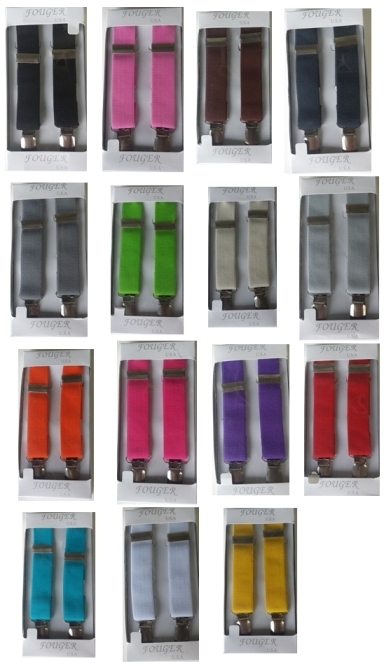 Click on the pictures below to see larger pictures for each of the color choices of our new solid color elastic suspenders.